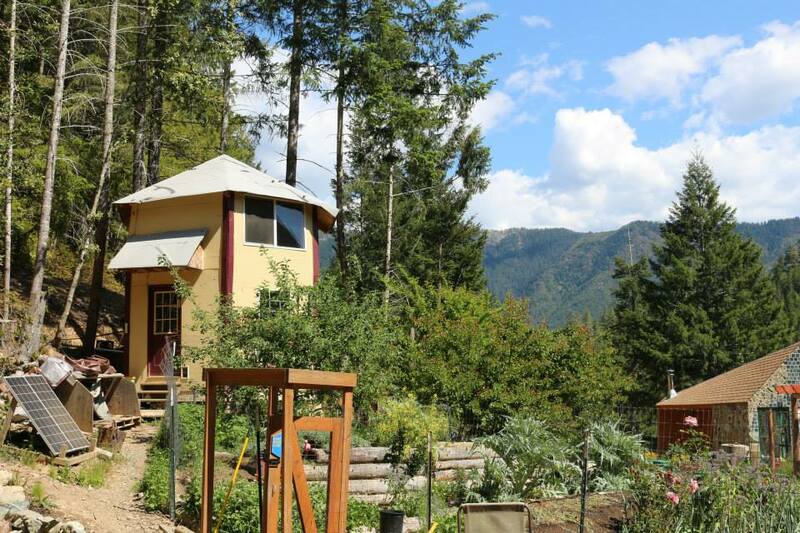 Have you ever wondered what it would be like to stay on a completely sustainable, off-the-grid farm? Where electricity is limited and everything is sustainable? One thing is certain – if you want some of the luxuries we’re afforded as part of the developed world, it takes a great deal of effort to live with virtually no carbon footprint. From no indoor plumbing to limited solar power to relying on water from fresh springs and food from a garden and nonperishables, true sustainability requires adjustment. However, it can be refreshing and peaceful to go without the distractions of technology and other luxuries we’ve grown accustomed to. 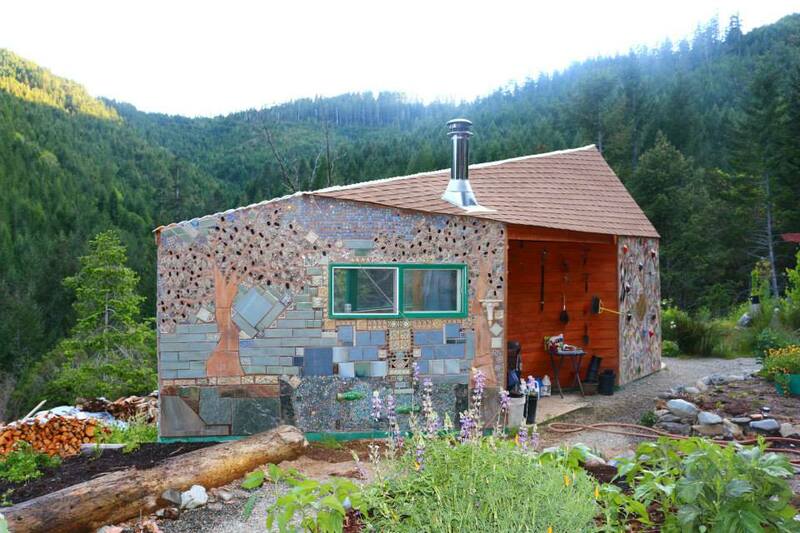 I recently took a trip into the wilderness of Northern California, miles off of paved roads, to get a better idea of what it’s like to have a completely sustainable, eco-friendly lifestyle. The scenic seclusion and break from technology was refreshing and the potential to see a wild bear was exciting – at least to me. It was insightful to see the simplistic relationship between Mother Nature and humans, as it was intended. 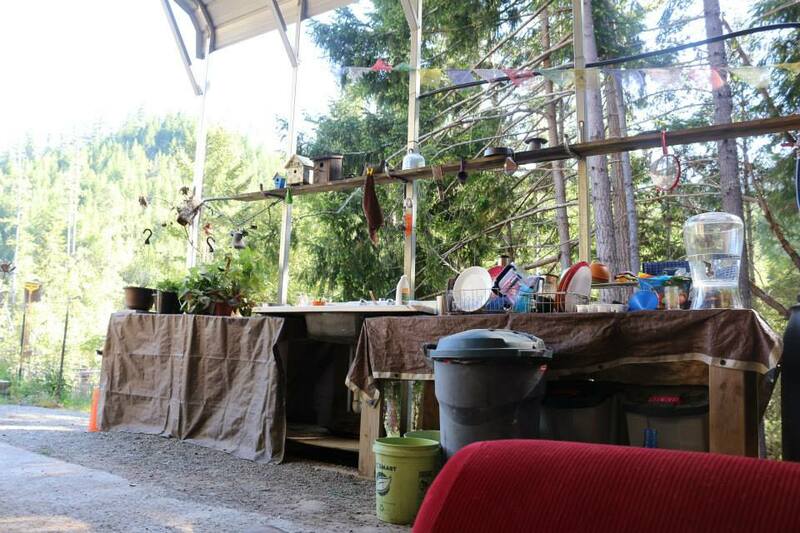 While I’m not sure if I could ever make the plunge full time, I did learn a few things about what sustainable, off-the-grid living is like. Where in the world was this place? Where I stayed was a small mountain village – the brainchild of one man named Dan. With a mission to create a 100% sustainable village, he purchased untouched land a few miles off the Redwood Highway, making sure there was access to a natural spring as a plentiful water source. According to the information found in each guest cabin, Dan took his dog, a tent and a chainsaw and spent a year laying the groundwork for his eco-friendly mountain village, fighting off bears and surviving the Northern California winter. Later on, his partner Jane and another fellow, who I did not get to meet, joined him full time. Other folks come through for periods of time to help build and maintain the village, as well as adventurous guests, like myself, who want to experience off-the-grid sustainable living. All the buildings were meticulously put together with permaculture design and mostly made from the trees cut down to clear an area for the village. In the beginning, Dan invested in a sawmill and other equipment to transform the cleared trees into lumber. To learn these skills, he spent a great deal of time reading books and asking questions in hardware stores. The first building he constructed was the Community Center, up a large hill. 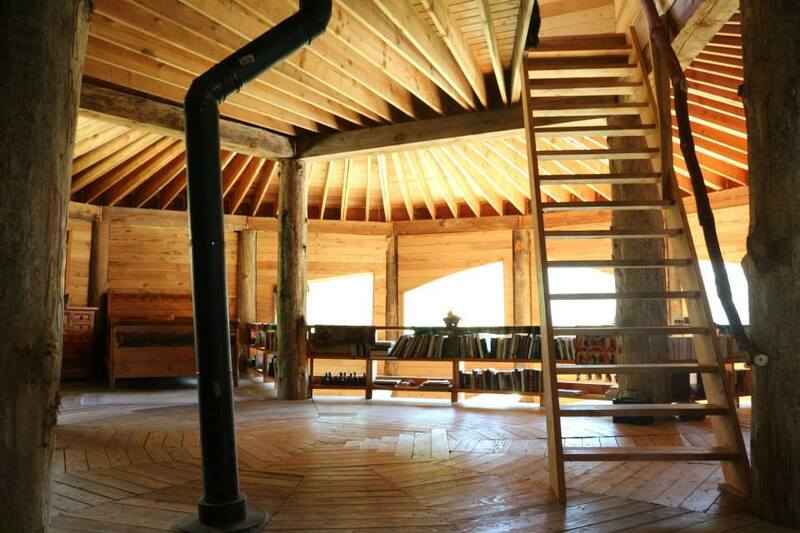 This two-story, beautiful structure looked like something out of Home and Garden magazine. It’s astounding that he did the majority of this work alone. Both kitchen sinks, the shower and other water sources were all gravity fed from the natural spring. Funny enough, although California is experiencing a rather intense drought, this mountain village had no water restrictions because the spring has a seemingly endless supply. 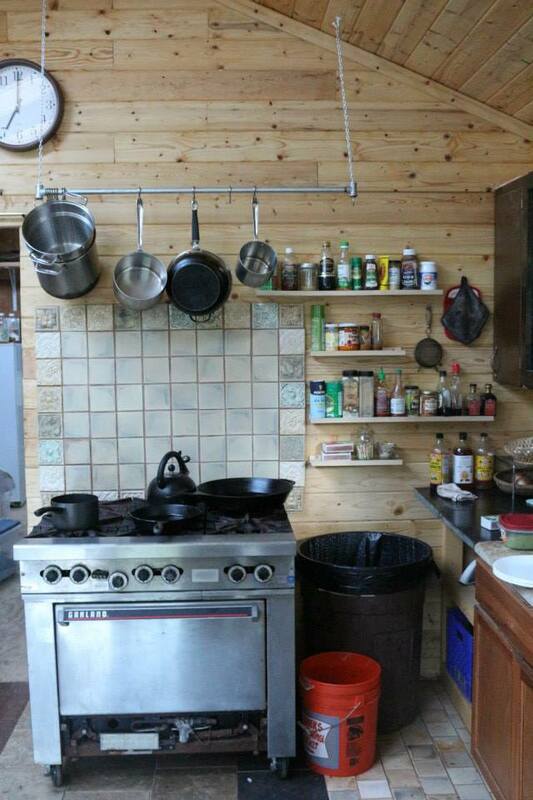 In addition to the outdoor kitchen, the main hall had a gas-powered stove that received its supply from outdoor tanks that were turned on and off with each use. There was one working cooler that kept perishables cold. However, most food came from the garden, cans or dry storage. To generate the electricity needed to power their common-area buildings, Dan’s village relied on a few solar panels. An inverter and battery storage in the kitchen kept the lights on in the main hall. In addition to lighting, the solar energy also powered necessary electronic devices such as the cooler. 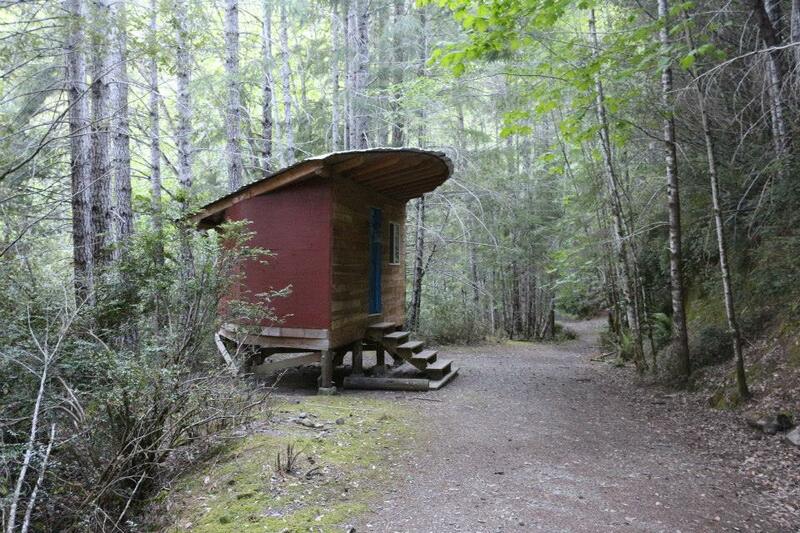 Since indoor plumbing is nonexistent, residents and guests use sawdust flush compost toilets to take care of business. Some of these compost toilets were found in typical indoor bathroom areas but others were outdoor toilets, basically a bucket with a seat. I’d have to admit, this was my least favorite part of my experience but it was a small price to pay to enjoy the splendors from the fruit of Dan’s labor of love. If you’re interested in eco-friendly off-the-grid living, I recommend staying with Dan and Jane at their mountain village. Not only were they amazing hosts, they have something special and educational to offer their guests – you don’t have to live in a tent to go off-the-grid and have a miniscule carbon footprint. You just need some determination.